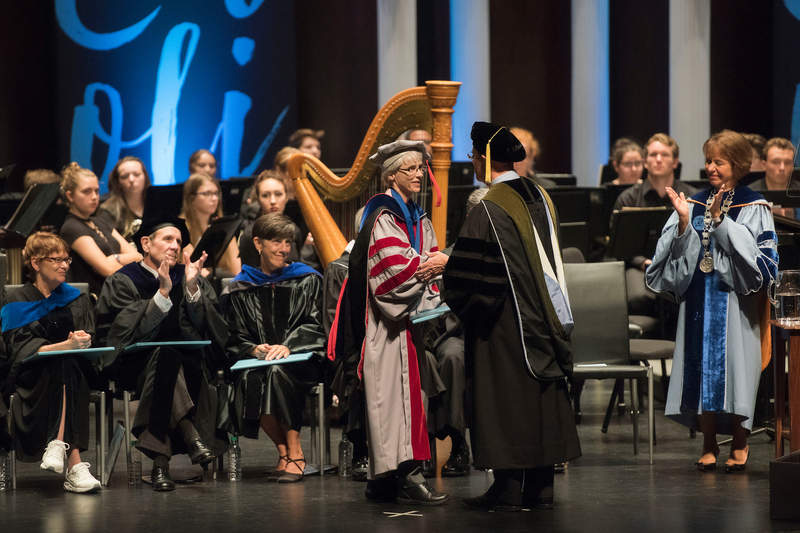 I write to you on behalf of the Honorary Degrees and Special Awards Committee to ask for your help identifying deserving faculty for an important honor. The Edward Kidder Graham Faculty Service Award honors a member of the Voting Faculty who has worked toward President Graham’s ambition “to make the campus co-extensive with the boundaries of the State,” in the context of the University’s modern mission to extend knowledge-based service world-wide. Full information about this award is available on the Faculty Governance website. The deadline for submitting nominations is October 1, 2018. I encourage you to take a few minutes to think of colleagues who are deserving of this award, such as last year’s awardee, Nancy Allbritton, who is pictured above on University Day. If you have questions about the nomination process, please contact the Office of Faculty Governance at 919-962-2146 or knego@unc.edu.